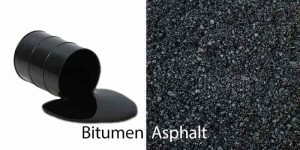 Bitumen is used as a binding material which is present in asphalt.In these days bitumen is widely used more than tar because of their good properties.So you must know the properties and types of bitumen while your pavement construction. 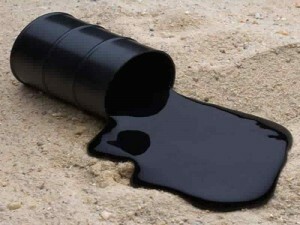 Everybody has little confusion between the terms tar and bitumen.The difference between tar and bitumen is, bitumen is produced by refining process of crude oil ( Fractional Distillation), but tar is produced without the presence of air causes carcinogenic effect.Because of the presence of temperature susceptibility and carcinogenic effect, tar is no longer used in these days. Bitumen emulsion is the combined form of finely divided bitumen suspended in aqueous medium with the help of stabilizing agents. But we know that bitumen is a petroleum product, we cant, mix with water.In order to overcome this problem, we use emulsifiers.So bitumen emulsion consists of three products namely bitumen, water and emulsifiers. Blown bitumen has more molecular interactions that normal bitumen.During refining process, air under high pressure and temperature is blown towards the normal bitumen. The use of blown bitumen is roofing and damp proofing because of their high waterproof. Cutback bitumen are formed when normal bitumen is dipped in solvents.The normal solvents are used are kerosene, naphtha, spirit etc.. The cutback bitumen has more percentage of bitumen content than normal bitumen. 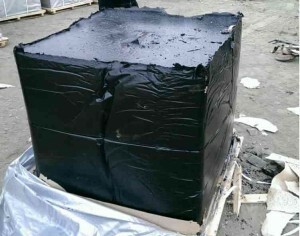 Plastic bitumen is formed by adding less amount of bitumen with suitable inert filler.They are mostly used for filling cracks in concrete structures.The quantity of inert materials ranges from 40% – 50%. The last types of bitumen is straight run bitumen.It is formed when bitumen is distilled to definite viscosity without further treatment. 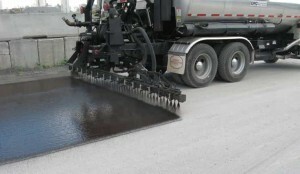 Hope You can understand the forms or types of bitumen normally used in the construction field.If you like this post, don’t forget to share it.